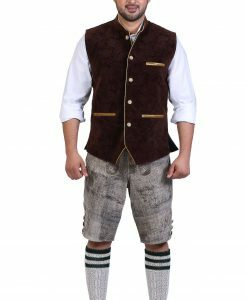 These short trachten lederhosen in Rustic Brown are made from 100% suede leather. 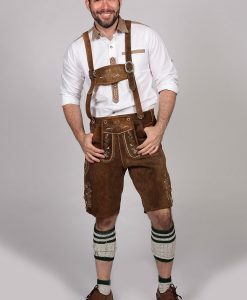 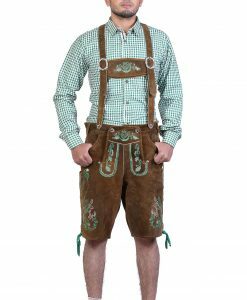 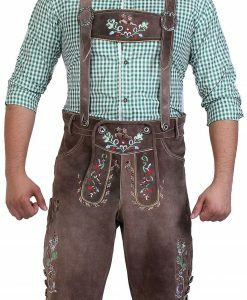 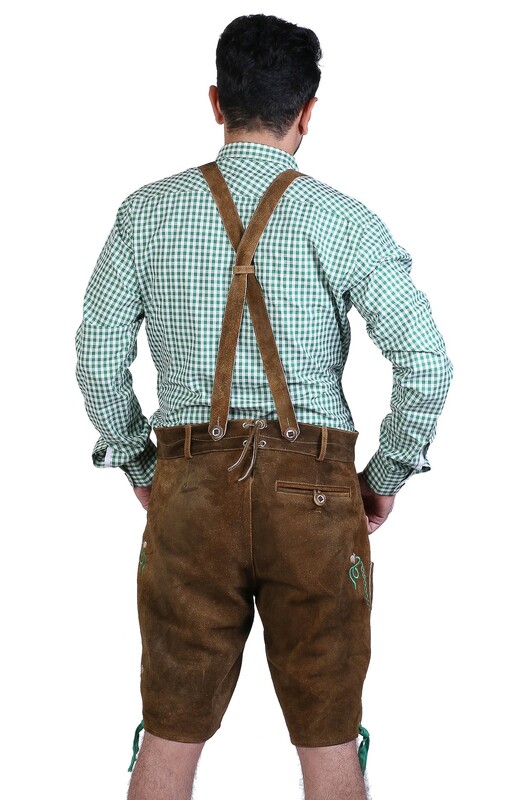 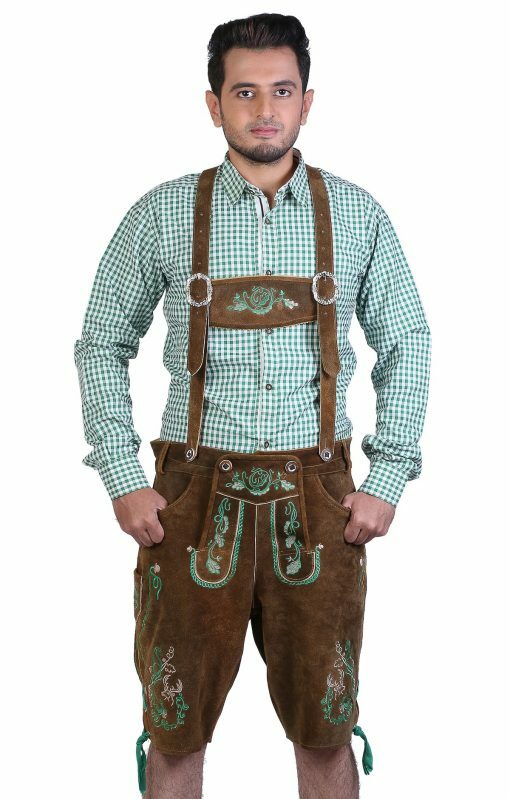 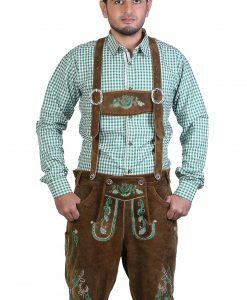 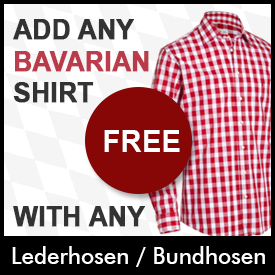 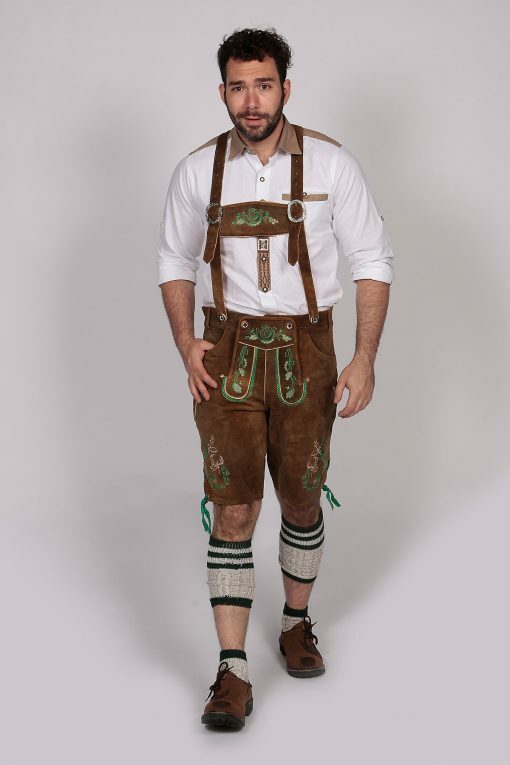 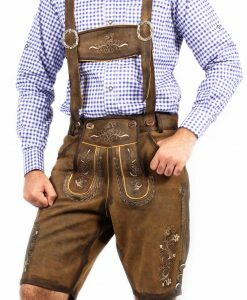 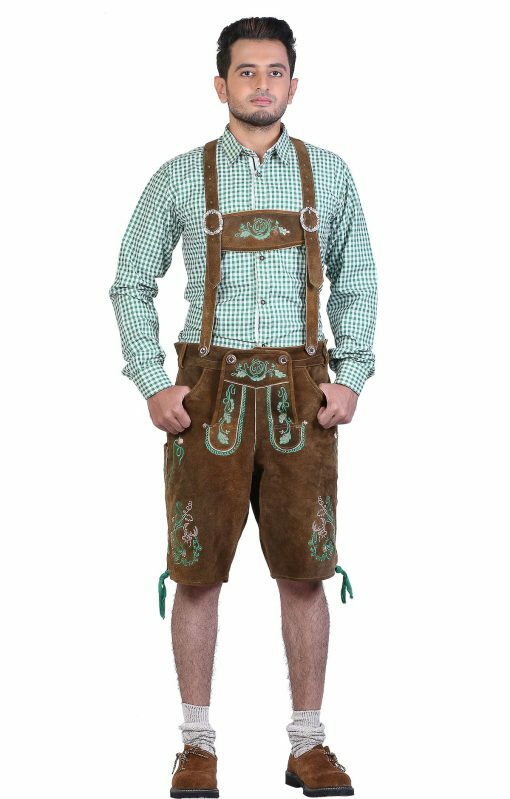 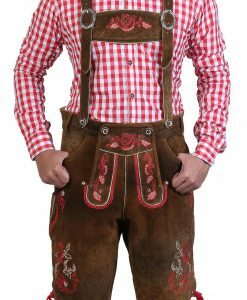 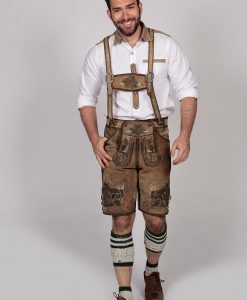 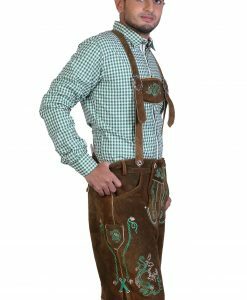 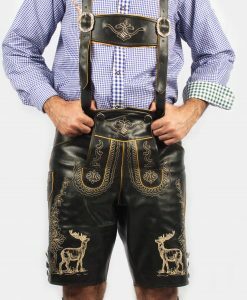 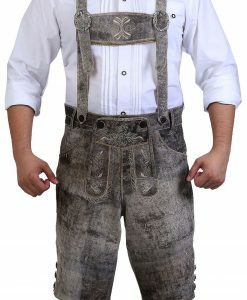 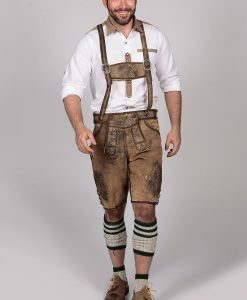 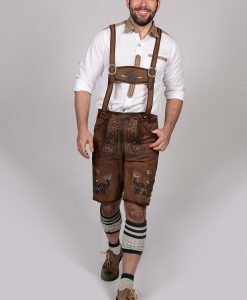 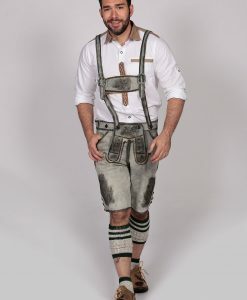 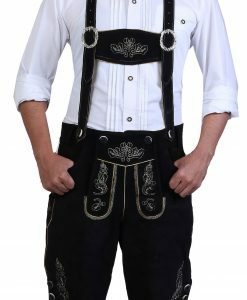 The Bavarian lederhosen are perfect to look happening and rustic! 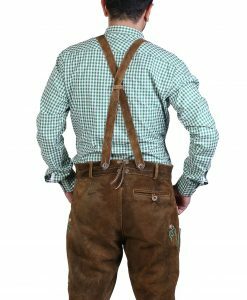 The traditional German lederhosen have detachable and adjustable lederhosen suspenders in classic H-shape the belts loops are also provided. 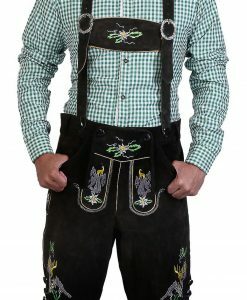 The authentic lederhosen are lavishly embroidered with traditional flowers and motifs in green. 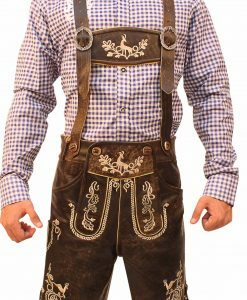 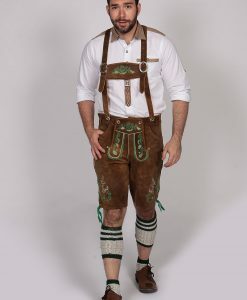 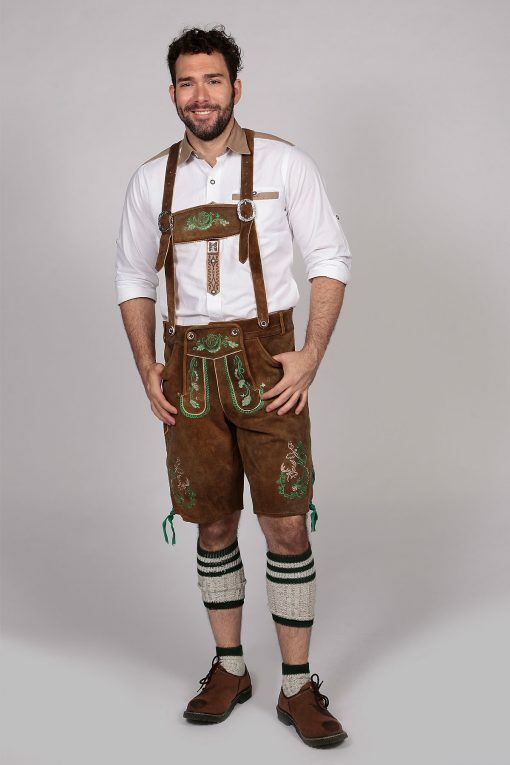 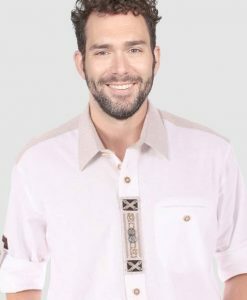 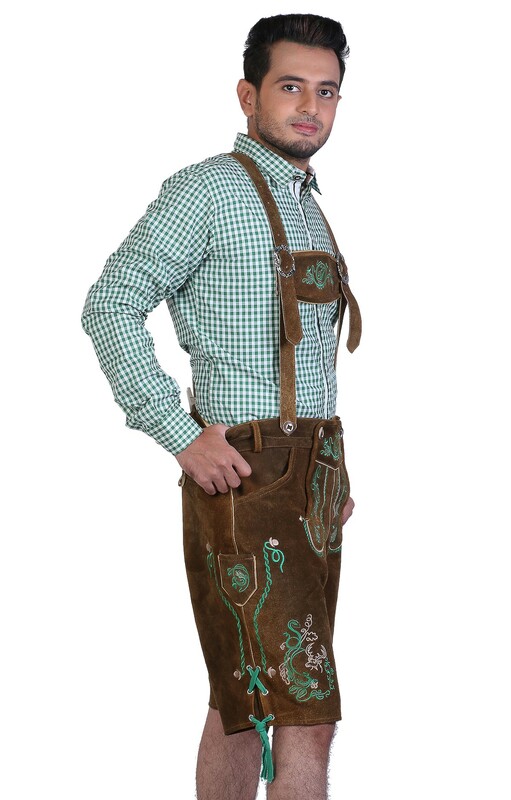 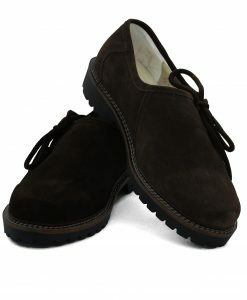 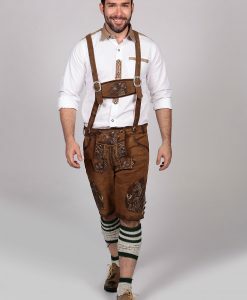 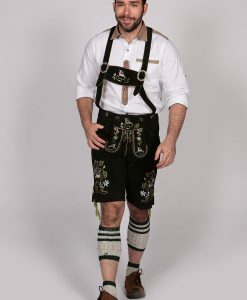 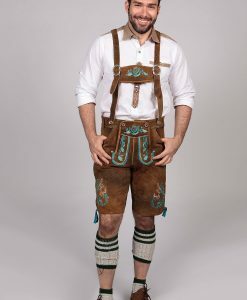 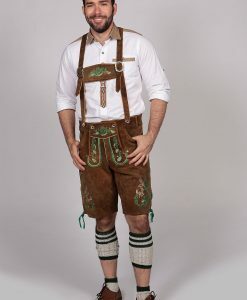 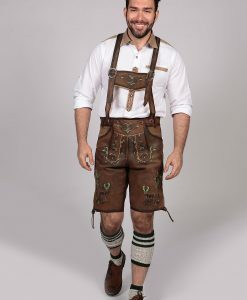 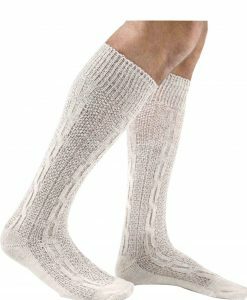 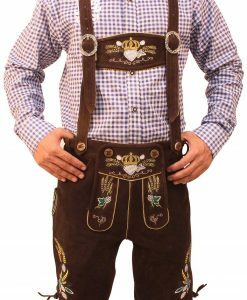 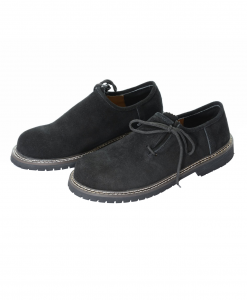 The impressive look for Oktoberfest is accentuated with horn buttons at the front and on pocket sides.